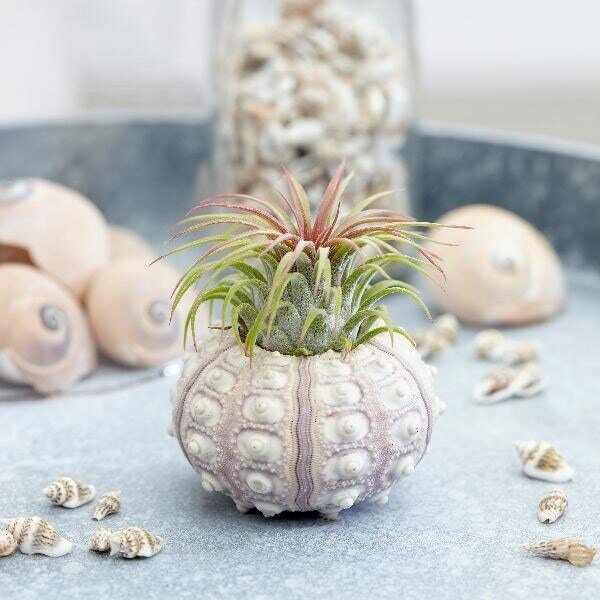 Buy The air plant sputnik The air plant sputnik: These plants do not need compost! These little arrangements are really cute and they look great on a shelf (either singly or in a cluster) in a bright bathroom - which also happens to be their ideal growing environment! 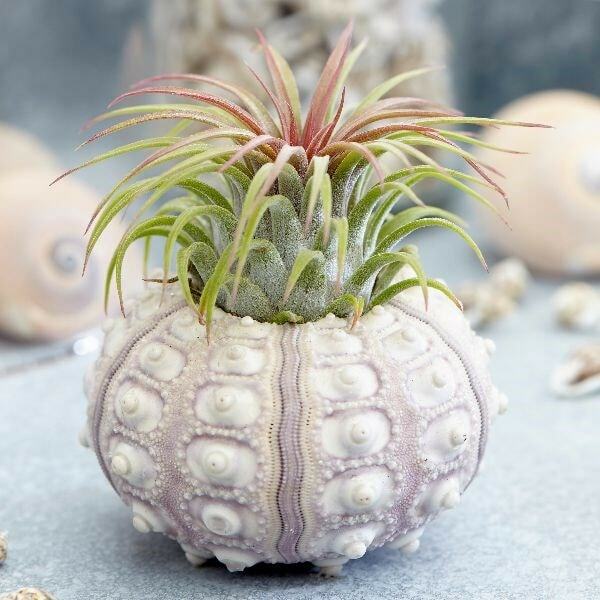 They are made using a real sea urchin shell, into which a small air plant (a lucky dip of 3 different shapes) has been secured, and this gives them a tufted look - almost like a spiky topknot.